Our April spotlight is on eggs and what better way to bring learning to life than to take part in a dig for fossil eggs? We’ve discovered some dinosaur fossils here at The National Reptile Zoo and we need your help to find the fossil eggs! Become a junior paleontologist this Easter by helping us to use brushes and tools to find the fossil eggs in the sand! When you find your egg, you collect your prize and receive your Junior Paleontologist certificate! You’ll get to learn all about fossils and eggs, dig for your own egg, get a prize and a certificate all included in your regular admission! 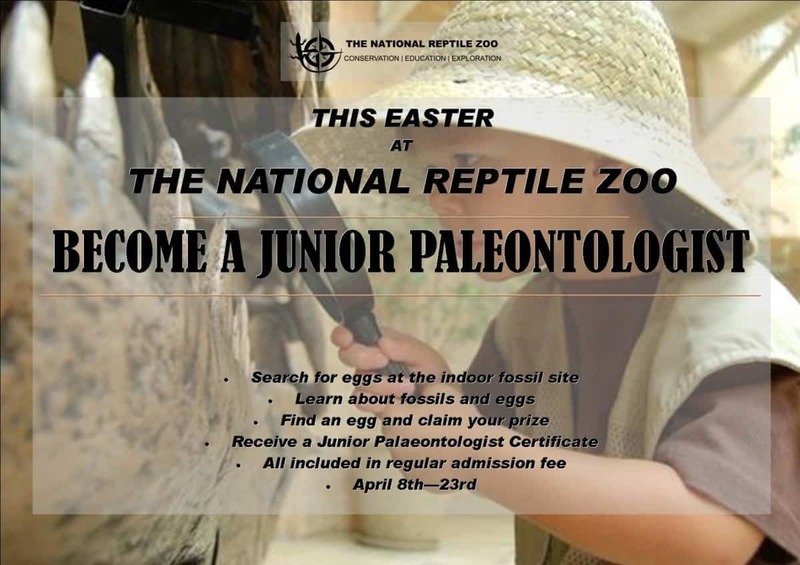 We’re on the lookout for junior paleontologists from Saturday April 8th to Sunday April 23rd! We know you guys will be stuffed with Easter Egg chocolate over the school holidays this month but we’re hoping to tempt you anyway! The team here at The National Reptile Zoo are hosting a bake sale as part of The Great Irish Bake for Temple Street on Monday April 17th! Our team are all getting their aprons on to bake lots of nice things for you guys to eat when you visit us on the 17th, with all proceeds from the bake sale going to Temple Street. We hope you guys will help us for such a worthy cause! 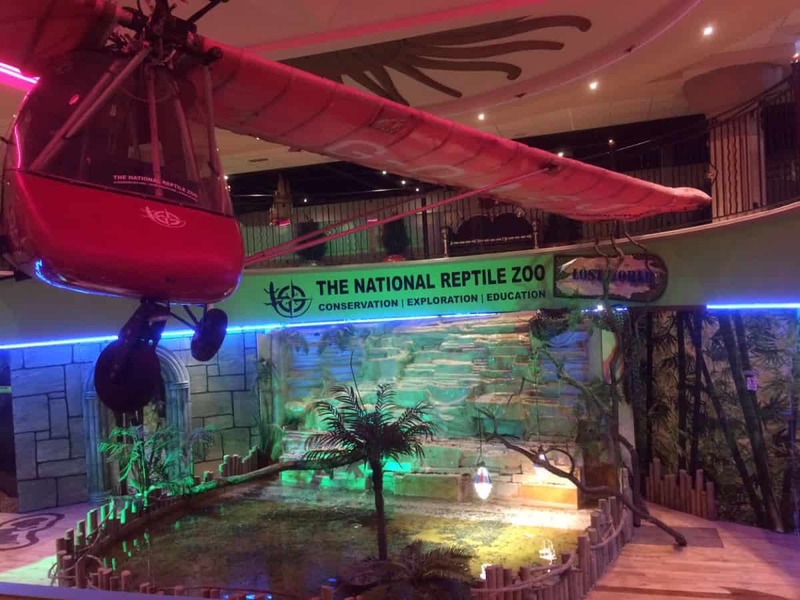 The Easter holidays are really busy for the National Reptile Zoo as we are set to open the doors to The Lost World once again on April 8th! The Lost World is back and better than ever as we have lots of new stuff for 2017 including an interactive Critter Cave where you can get hands on with some creepy crawlies as well as traditional favourites such as our reptile encounter zone! The Lost World is located inside Funtasia (Drogheda Co.Louth) and will be open from April 8th to 23rd, then every weekend until the Summer when we will open full time again! We are also proud to announce that for the months of April, May and June we are the proud sponsors of Beat 102-103 fm’s Cool 2 School initiative! If you know a child that would love to be taken to school with the Audi A1 Beat Fleet and The National Reptile Zoo, you can nominate them here. As always we will keep you posted throughout April about our offers and events, just keep an eye on our social media accounts!